The 600 Switchback® PRO-S is for crossover riders who want the ultimate in cornering and handling, and a sled that virtually eliminates stutter bumps. 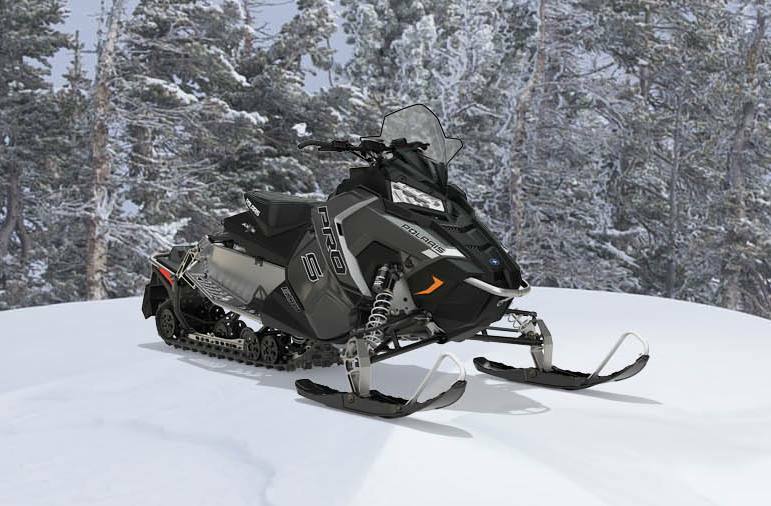 Featuring the Rider-Balanced AXYS® Chassis, 600 Cleanfire® Engine, and multiple comfort features, this snowmobile delivers Rider-Balanced™ Control, Unrivaled Acceleration, and Rider-Centric Comfort. Rider Balanced Control: Rider Balanced Control gives the rider: Flatter cornering without sacrificing the fun factor; More precise handling in all conditions; Better control in big bumps AND chatter bumps. How did we get there? 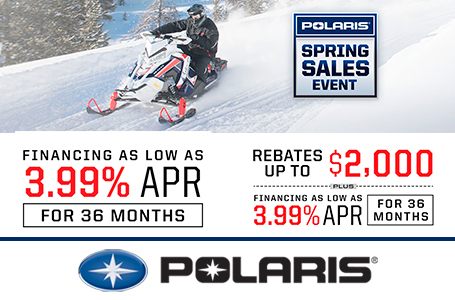 Polaris: Put the rider in the right location on the sled; Centralized vehicle mass; Optimized the suspension geometry to better control pitch. PRO-XC™ Rear Suspension: The completely redesigned geometry of the PRO-XC progressive-rate rear suspension is optimized for the best performance and Rider-Balanced Control. Through innovative Polaris engineering and construction, the suspension is both lighter and stronger, featuring: Lightweight, forged aluminum rear crank; Completely redesigned crank and pivot; Front torque arm was moved rearward to control pitch, increase travel, and improve the rail profile. Lightweight: When developing the AXYS® platform, Polaris engineers minimized weight throughout the sled without compromising strength. 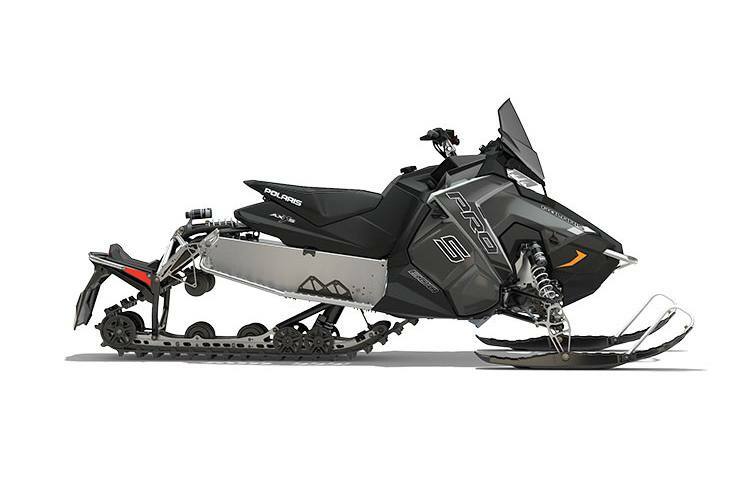 The 600 Switchback PRO-S is more than 35 pounds lighter than the previous chassis and weighs approximately 40 lb. less than a competitive crossover model. 600 Cleanfire® Engine: This liquid-cooled Cleanfire® engine with semi-direct injection (SDI) deliver outstanding throttle response and instant acceleration. These powerful, efficient engines start easily and reliably and they calibrate automatically as the temperature and elevation change. These engines deliver impressive fuel economy in real-world riding situations, which, for Polaris riders, means aggressive, up-tempo riding, not low-rev lab conditions. Now in the AXYS® chassis, the 600 engine features new lightweight integrated mounts, electronic oil pump and bypass thermostat. LED Lights: All models built on the AXYS® platform feature standard LED headlights. LED headlights deliver the industry’s best lighting: Nearly 1 lb. lighter and high beams are 80% brighter than incandescent lighting; Color temperature or output of the lights (the “whiteness” of light, reported in Kelvin) is 5000K, closely matching daylight; LED headlights last the entire lifetime of the sled. A major durability enhancement over traditional incandescent headlights which experience filament burn out; For constant visibility and enhanced safety, the low beams remain on at all times. Even when the high beam is activated, there is never a period of no light. 15 x 137 x 1.25 in.